The Rays had a surprisingly good season in 2018, winning 90 games and contending for the second Wild Card into September. Not many analysts or projection systems thought Tampa would be so competitive, but it has become something of the norm for this franchise since their breakout 2008 season. Tampa’s success starts at the top. Their front office is known for being creative, finding bargains and role players that fit the bigger puzzle. Part of this strategy is born out of necessity; the Rays can’t spend like New York and Los Angeles, or even a middle-market team like Minnesota. They have never spent big on a free agent unlike like their Florida counterpart, which did not work out well for them. Manager Kevin Cash also deserves a lot of credit for managing a fluid roster to 90 wins. Since being hired before the 2015 season, Cash has become well respected in the game. So, what can we expect from the Rays in 2019? Ah yes, The Opener — the newest polarizing trend in baseball made famous by the Rays last year. Other teams tried it, but none were as successful as Tampa. At one point the Rays’ rotation was Blake Snell and a bunch of other guys. This year, Snell, coming off a Cy Young, will still anchor the rotation but they will also have Charlie Morton and Tyler Glasnow. Morton signed for $15M a year, which is a substantial investment for Rays ownership. Morton is projected for a 2.9 WAR season and Glasnow a 1.8. A top-3 of Snell, Morton, and Glasnow is solid, especially when you consider the depth of their bullpen. Kevin Cash announced the team will be using two openers in addition to the three traditional starters. Those openers will rotate, but expect Brent Honeywell, Yonny Chirinos, and Ryan Yarbrough to be frequently used. 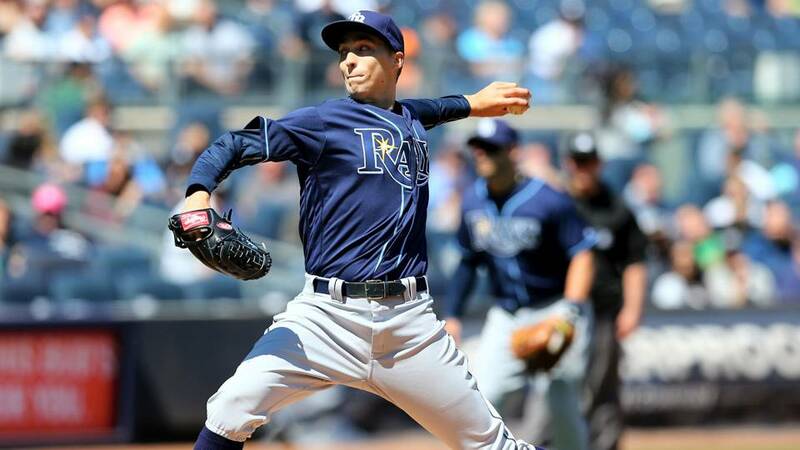 Check out this episode of The Bronx Pinstripes Show — we talked to Rays radio announcer Neil Solondz about the Rays opener strategy going into 2019. The big question is: Will this strategy work again? It proved successful last year, but the novelty could wear off as more teams in baseball deploy it. Tampa won last year because of pitching, not offense which was below league average in runs scored. They improved late in the season with the addition of Tommy Pham, who had a 194 OPS+ after being acquired from St. Louis. The Rays outfield projects to be the strongest unit on the team. Pham, Kevin Kiermaier, and Austin Meadows are a good outfield trio, but will it be enough to lead the offense? As with many teams, health will play a factor. Kiermaier can be great but has missed significant time due to injury each of the past two seasons. The Rays cannot afford to lose him again this year. Their depth chart is somewhat comical. Each position, especially in the infield, has multiple candidates to get significant playing time. This is where Cash’s mixing-and-matching will be key — if he makes the right moves, the Rays can be difficult, as the Yankees learned last season. A breakout candidate to keep an eye on is middle infielder Willy Adames, who slashed .278/.348/.406 in his rookie season last year. Another fun story line to follow is ex-Yankee Ji-Man Choi. The Rays acquired him from Milwaukee last June. The hefty lefty posted a .863 OPS (yes, you read that correctly) over 221 plate appearances last year. I think it would be a significant feat for Tampa to make the playoffs, not because they aren’t good enough but because they are in a division with two juggernauts: the Yankees and Red Sox. Tampa will once again be in the mix for the second Wild Card along with Oakland and Minnesota, who have the luxury of playing in weaker divisions. All three teams are projected to win between 83-85 games, depending on which line you look at. If the Rays can get hot at the right time and sneak into the Wild Card, they have the pitching staff to compete in October.